My husband calls this Chocolate Chip Cream Cheese Bread a cookie in a loaf. 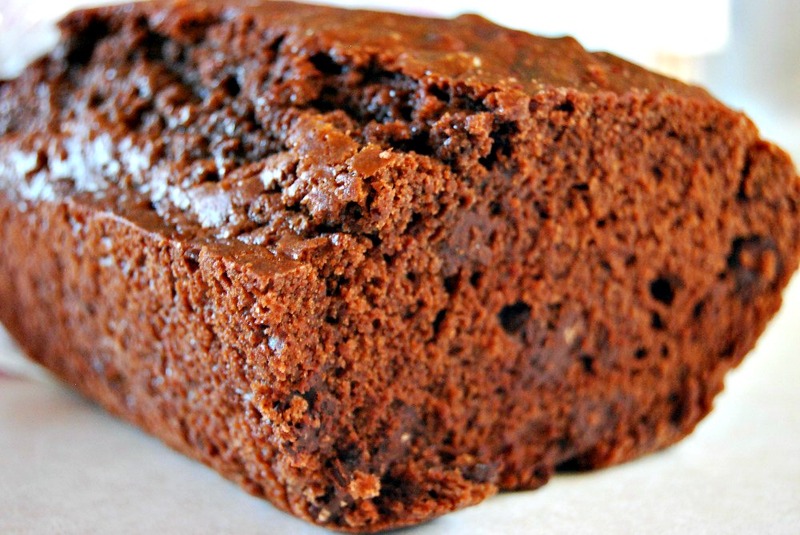 It’s a very yummy recipe that works great for mid-afternoon snack or dessert. The cream cheese adds a little extra tang and super creaminess to the bread. 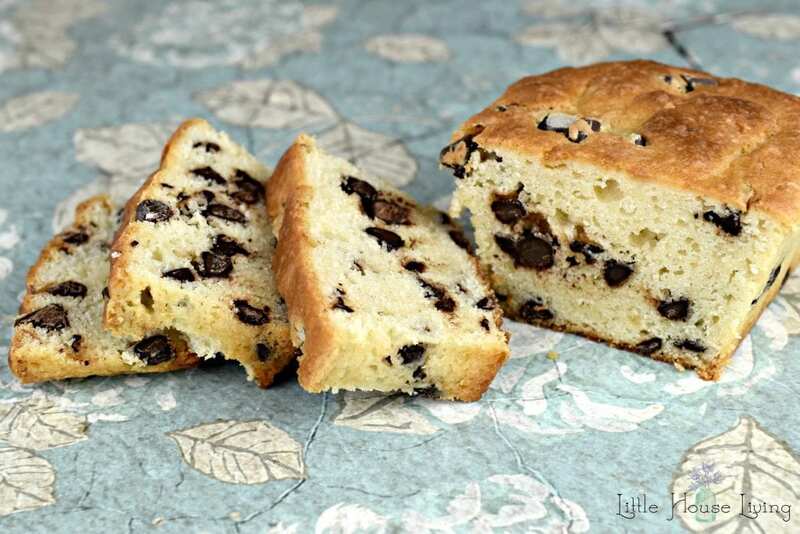 This is also a wonderful bread to make around the holiday time to share with friends and neighbors because who doesn’t love chocolate chips? Mix together all the ingredients except for the flour and the milk. Then add 1 cup of flour and 1/8 c. milk. Mix well, then add in the second cup of flour and the rest of the milk. 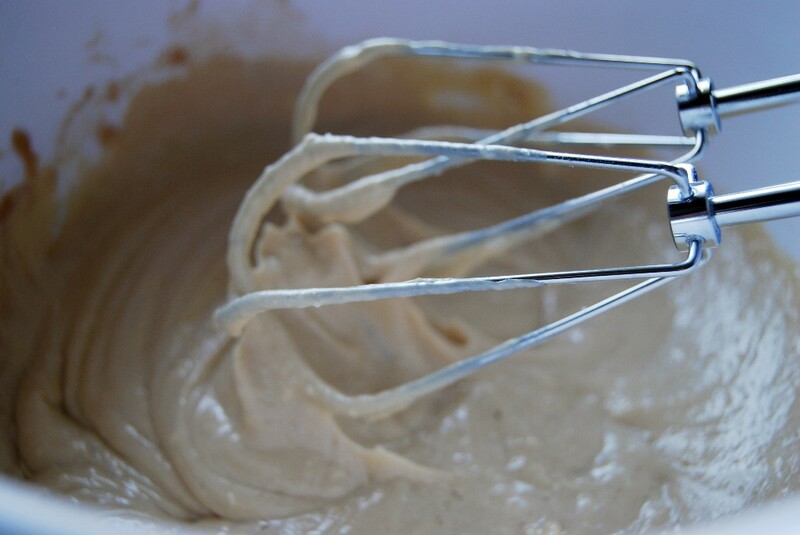 Whipping this dough mixture with the hand mixers isn’t completely necessary but it will give it a slightly less dense texture. It tastes good either way! Pour the mixture into 2 greased loaf pans or 4 mini loaf pans. Yum! I took this recipe over to all the neighbors on Memorial Day for a little treat. I’ve also given it away as a friends and family gift around the holidays. It’s great for an afternoon treat bread or it makes a perfect dessert bread if you are looking for a little something after a meal. 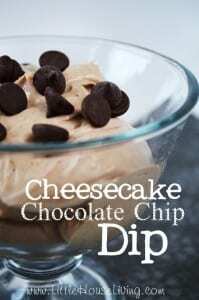 If you love chocolate chips and cream cheese you also need to try this Cheesecake Chocolate Chip Dip or these Yogurt Chocolate Chip Cookies. Both are delicious! 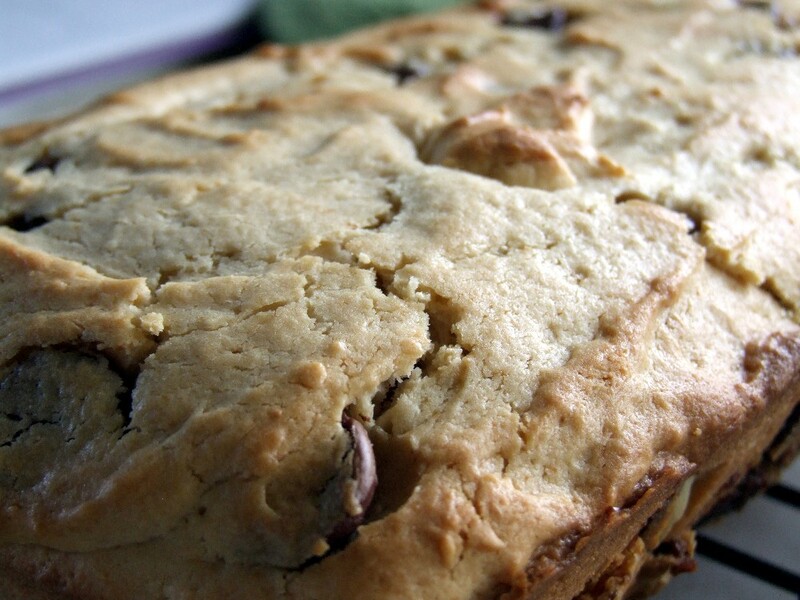 Does your family enjoy quick breads for snacks or desserts? I don’t see the size of the larger pan specified. Says it makes 2 loaves. Would they be 8×4 or 9×5 loaves? Thanks. This looks delicious. I can’t wait to try it. I have already pinned it. Thanks for sharing. 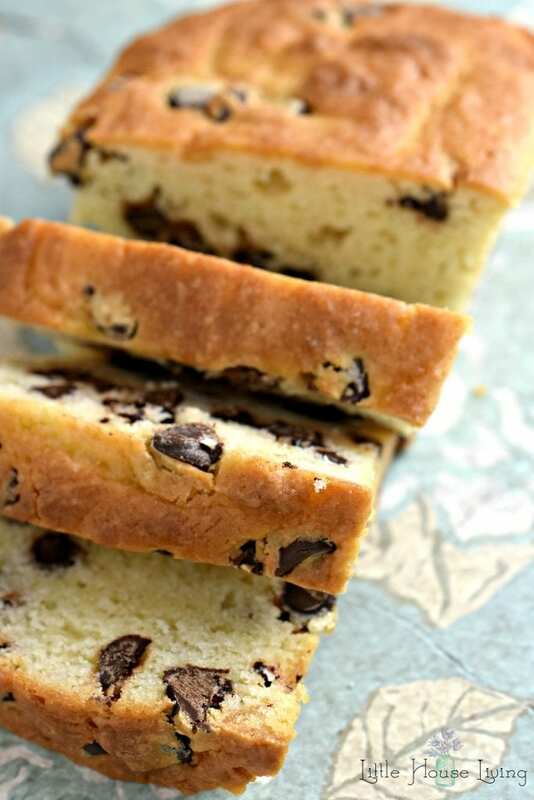 Your Cream Cheese Chocolate Chip Bread will be delicious! Thanks so much for sharing your post with us at Full Plate Thursday! Have a great week and come back to see us real soon! Would this work with gluten free flour? It looks fantastic. I am going to have to try it. I think it should. It may end up being slightly denser but you could try adding a bit more baking powder. Omigosh… I am finally trying this! Got the corn off the fields. The rye planted. And, even though it’s late, I was going thru my bookmarks, and this looked so good. Been waiting to try this for a while. All I have on hand is spelt flour, organic and sprouted. So, I just doubled the egg, baking soda ((instead of powder), and salt. Hopefully that will help keep it from being so heavy from the spelt. 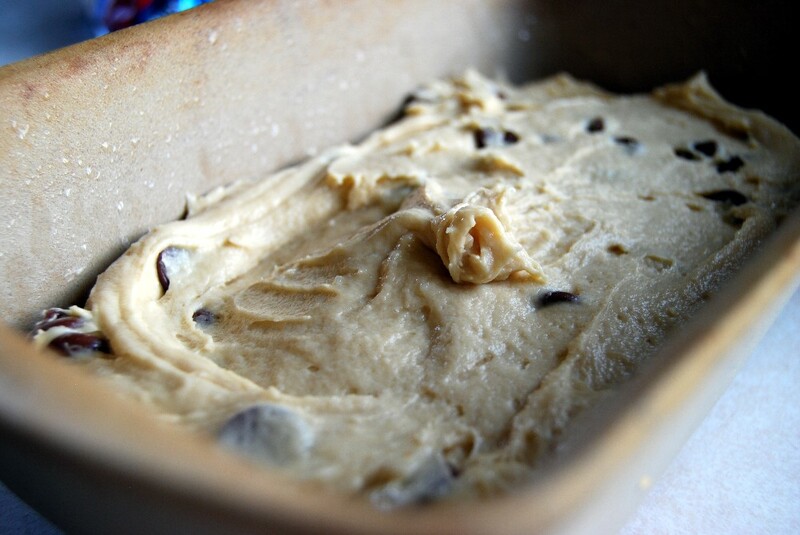 It’s in the oven now…. Looks good! Will post to let you know how it turns out. I am so excited! You had me at cream cheese! 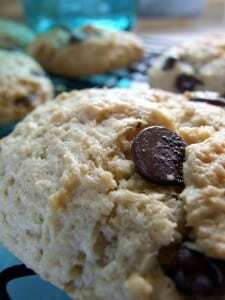 I use chocolate chips in a lot of breads so I am intrigued with adding in some cream cheese…yum! This looks so delicious Merissa! Thanks so much for sharing the recipe with us. I can’t wait to try this Merissa! Congrats – you are one of our featured guests at Inspire Me Monday at Create With Joy! I had to pin this to try later. Looks sooo good! I cant wait to try it. Thank u so much for sharing the recipe.amma try this for this year’s xmas XD Looks really delicious n the recipe looks so simple . But could u tell me the size of the mini loaf and big loaf. Aww 🙂 Merry Christmas to you too Edna! Probably a silly question, but can whole wheat pastry flour be used? Could blueberries be used in place of the chocolate chips?